Chanteur Country US né John Richard Duncan, le 5 Octobre 1938 à Dublin (Texas). Johnny Duncan est décédé le 14 Août 2006. 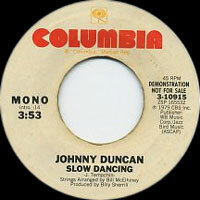 Not to be confused with the American expatriate and British skiffle star of the same name, Johnny Duncan was a country-pop singer best known for a string of hits with producer Billy Sherrill in the late '70s. Born in the farm town of Dublin, TX, in 1938, Duncan learned guitar from his mother as a child and also had two future performers in his family in the person of cousins Dan and Jimmy Seals (of England Dan & John Ford Coley and Seals & Crofts, respectively). All four family members, plus Duncan's fiddle-playing uncle, Ben Moroney, played together in a local dance band. 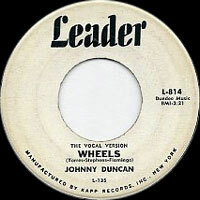 Duncan took up singing in his late teens and moved to Clovis, NM, in 1959, where he recorded some pop-oriented demos under producer Norman Petty. Nothing came of them, and he spent several years working as a DJ. 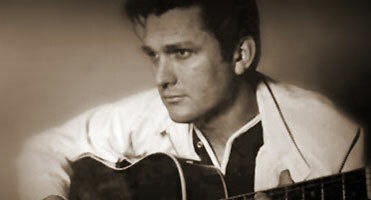 He moved to Nashville in 1964 and worked odd jobs before landing a guest spot on Ralph Emery's television show in 1966. That led to a deal with Columbia Records, which released his debut single, "Hard Luck Joe," in 1967. 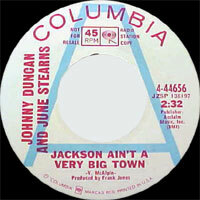 Duncan had a few minor chart entries over the next few years, including two duets with June Stearns, but nothing that could be considered a breakout hit. That all changed when Duncan hooked up with the famed Nashville sound producer Billy Sherrill. Singles like 1972's "Baby's Smile, Woman's Kiss" and 1973's Top Ten "Sweet Country Woman" started to establish him as a hitmaker. However, his marriage subsequently broke up, and the distraught Duncan returned to Texas. 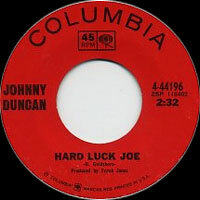 He was talked back into the music business for the single "Jo and the Cowboy," which paired him with a then-unknown Janie Fricke, and the song was successful enough that Sherrill decided to feature her on some of Duncan's subsequent recordings. 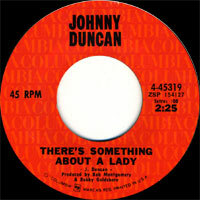 Sordid barroom sagas like "Stranger" and "Thinkin' of a Rendezvous" made Duncan a star, with the former becoming his first Top Five hit and the latter his first-ever number one in 1976. 1977's "It Couldn't Have Been Any Better" was his second chart-topper, and his first credited duet with Fricke, "Come a Little Bit Closer," went Top Five the following year. 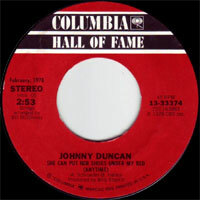 Duncan also scored two big hits of his own in 1978 with the Top Five "Hello Mexico (And Adios Baby to You)" and the number one "She Can Put Her Shoes Under My Bed (Anytime)." His last Top Ten appearances came in 1979 with "Slow Dancing" and "The Lady in the Blue Mercedes," after which his commercial momentum abruptly halted. He and Columbia parted ways in the early '80s, and he subsequently remarried and returned to Texas. He recorded a bit for small labels during the '80s and '90s, cutting a couple of singles in 1986. Duncan released his final album, The Thing to Do, in 2004 and was planning an autumn tour before he succumbed to a heart attack on August 14, 2006. 02/1986 SP PHAROAH 2502 (US) . Look Of A Lady In Love / ? 06/1986 SP PHAROAH 2503 (US) . Texas Moon / ?